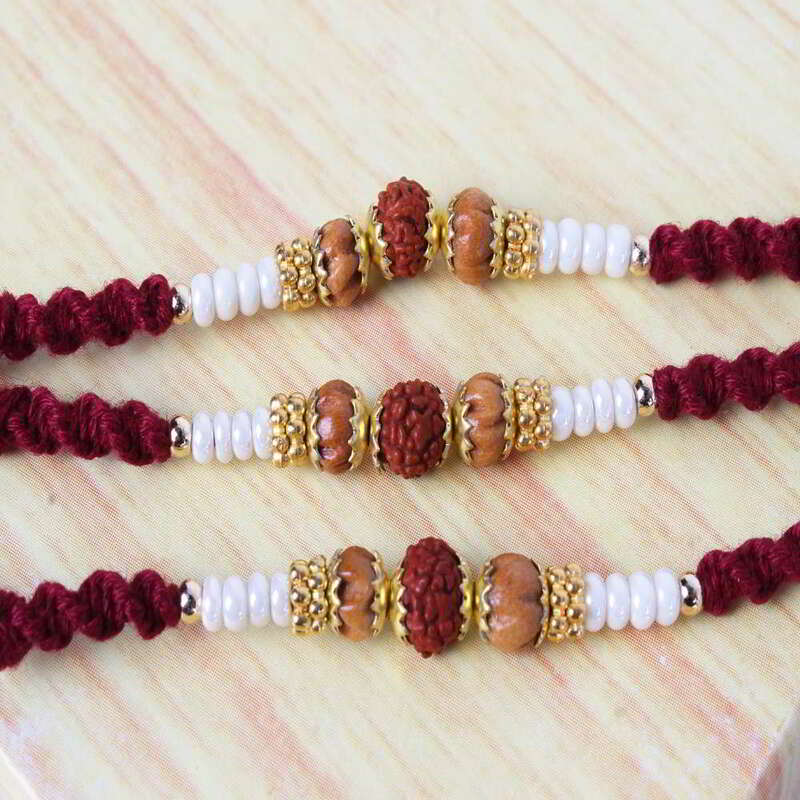 Product Consists: Perfect Rudraksha Trio Rakhi nicely tied on a designer Card. 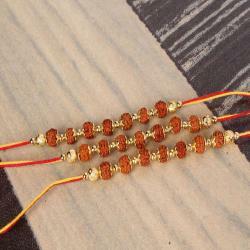 Rudraksh rakhi will bring calmness and peace into your brother's life. Bless your brother on this rakhi with this unique thread. This Raksha Bandhan will be a wonderful way to touch your brothers heart and wish him well on this occasion with this Rakhi Thread. 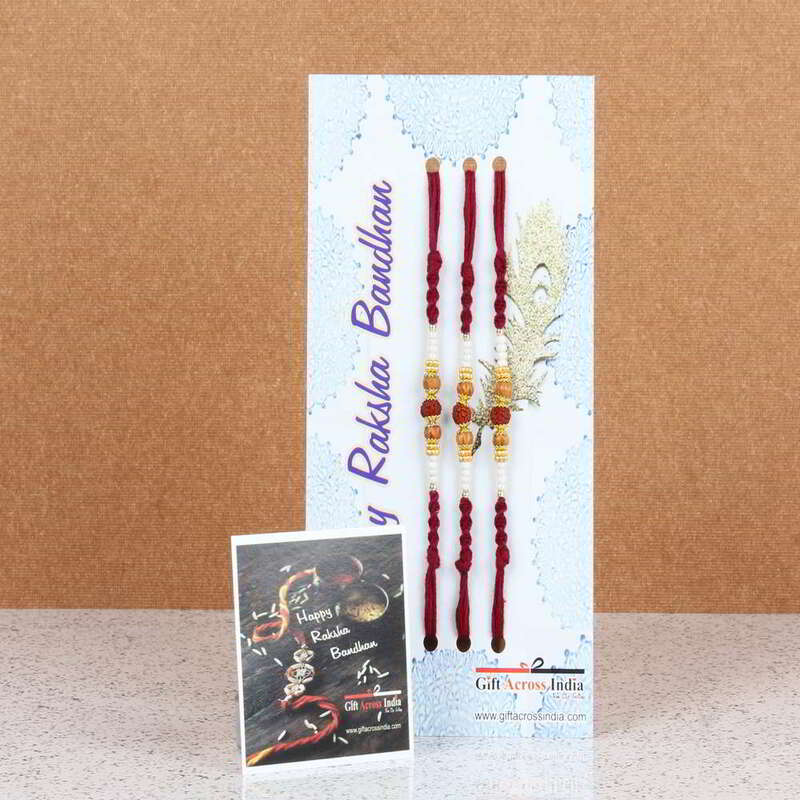 Rakhi is the soul of the festival of Raksha Bandhan it is an equal contribution to the happiness shared. 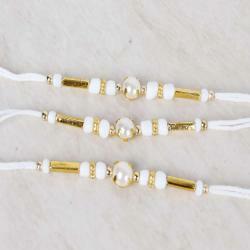 Convey your wish to your brother with this Rakhi thread. 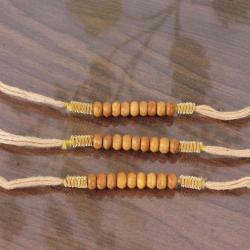 Celebrate the lasting relations, by sending your loving brother this charming rakhi thread. 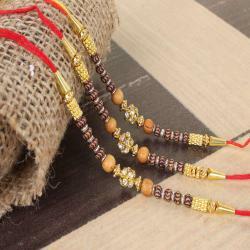 Product Includes: Perfect Rudraksha Trio Rakhi nicely tied on a designer Card.